What is the Site Quality Assurance Program? The ABAA Site Quality Assurance Program manages risks that may occur during the installation of air and water resistive barriers. The program has been designed to result in properly installed air and water resistive barriers, to improve the performance of a building, reduce energy costs and reduce moisture damage. The program contributes not only to keeping a project on schedule but also on budget, by educating trade contractors and installers on proper installation processes so it’s done right the first time and reduces the need for call backs. The program encompasses a variety of initiatives that include training and education, prequalification requirements of contractors and installers, a method for installers to self-test their work, a paper trail of the entire installation process, an independent auditor to conduct audits for compliance with the Site Quality Assurance Program and ABAA specifications, and a process to deal with the loss of license by an individual participating in the program. The Quality Assurance Program was developed by Building Professionals and was based upon the principles of ISO 9000. In Massachusetts, where the program was piloted, a large cross-section of the industry (which included contractors, manufacturers, and architects, engineers, building owners, utilities and consultants) had input into the review of the Site Quality Assurance Program. After approximately two years of review and refinement by industry stakeholders, the Site Quality Assurance Program was endorsed by ABAA and launched in Massachusetts. Bringing the industry together with one common goal in mind: to raise the level of quality in the field. The Air Barrier Association of America (ABAA) contracts out the day-to-day management of the Site Quality Assurance Program to an unbiased 3rd party, Building Professionals, who has the expertise and credibility to manage the program. Once the program’s rules are set and published; all individuals must meet and comply with the same standards and requirements, set forth in the program. No rules are bent for any specific member. The Site Quality Assurance Program is updated on an on-going basis to streamline processes or enhance the program. The ABAA can make recommendations for changes to the Site Quality Assurance Program but only after a thorough review, performed by the Building Professionals staff along with non-biased individuals (such as architects, engineers, building owners, utilities or government agencies), are changes made and implemented. This ensures that the program remains fair and unbiased for all parties involved and provides value to a building owner and design professional. A Site Quality Assurance Program cannot be controlled by the people and organizations it is intended to evaluate. ABAA’s Site Quality Assurance Program components can impact the quality of the installation. These components all need to work together to provide the highest level of confidence that the air barrier will be installed correctly and to high industry standards. In-field and laboratory testing of materials, accessories, components, assemblies and systems by credible research bodies (such as Oak Ridge National Laboratories [ORNL]) working with the industry provides reliable and credible answers to questions. ABAA builds the organization on technical information that is scientifically defensible. ABAA first develops industry standards and test methods for the air and water resistive barrier industry. These standards include materials, accessories, components, assemblies, installation, inspections, and durability standards and include test methods. Once the standards have been approved within ABAA, the standards are then presented to regional standard development organizations including ASTM to become a published regional standard. ABAA has developed master guide specifications for each type of evaluated air barrier material. These documents are available for download so that architects, owners and design professionals can properly specify a wide range of air barrier materials and the ABAA Site Quality Assurance Program in their contract documents. These specifications provide the information one needs to implement a proper air and water resistive barrier in a building. Manufacturer members can apply to have their material evaluated, by ABAA, against a set of material performance criteria and have their product validated as an air barrier and/or a water resistive barrier. The criteria which a manufacturer needs to meet is publicly available on the website. Materials which have been tested and proven to meet the outlined criteria are then listed on the website.This list is then used as a tool by owners, architects and design professionals when choosing materials for their projects. Without this service; they would need to develop their own criteria, determine what the appropriate test methods are, obtain test reports for each test and then conduct an evaluation of the test reports to determine whether the material meets the performance requirements for a project. An owner, architect or design professional can simply choose from the ABAA listing knowing that the material has already been evaluated. An air barrier contractor (the legal entity which does business with the customer) that has met all outlined accreditation and licensing criteria established by ABAA, will be granted accredited contractor status. An ABAA accredited contractor has signed an agreement which binds them to follow the air barrier manufacturer’s installation requirements, correct any and all deficiencies, and fully comply with Site Quality Assurance Program.A critical requirement is that the contractor use ABAA trained and certified individual(s) for the installation of the air and water resistive barriers. Installer training courses are delivered in various locations around the USA and based on the air and water resistive barrier type. Installer training courses are technologically-advanced, competency based and tailored to job site realities. Individuals typically work for ABAA accredited contractors as an installers (person installing materials and accessories) and are instructed during the course on following the manufacturer’s installation instructions and the ABAA Site Quality Assurance Program requirements. Installer certification is separate from training and is different from a course “certificate” (acknowledgment that you attended a course).Installer certification is the formal conformation that the individual possesses the knowledge, skills and abilities to properly install any specific type of air and water barrier. Knowledge/skills are demonstrated through written exams and abilities demonstrated by actually doing something. The certification process is governed by the ISO 17024 Conformity assessment (general requirements for bodies operating certification of individuals). This International Standard ensures that the certification is delivered in an unbiased and impartial manner.Key requirements of the installer’s certifications are: to fully comply with the ABAA Site Quality Assurance Program and to properly install materials per manufacturer installation guidelines. Installers are required to perform daily inspection and testing of their work, and document the results in a daily job site report. All risk management/quality assurance programs require documentation of what was done and is being done. ABAA’s Site Quality Assurance Program is no different and maintains a complete set of documentation on all the processes. The ABAA Accredited Contractor is obligated to have the installer complete daily job site reporting. A minimum of one site audit is conducted on each project by ABAA and is independent of the manufacturer or the contractor, and any owner testing. The quantity of audits conducted is determined by the total air barrier square footage being applied on the project (sliding scale). The building owner, owner’s representative or architect can require more audits than the ABAAA requirements. In cases where the contract documents differ from the ABAA Site Quality Assurance Program requirements, the ABAA contractor is obligated to have the greater number on audits conducted.ABAA uses impartial 3rd party licensed individuals as ABAA Field Auditors to conduct all audits.The Field Auditor will conduct a visual and physical examination of the air barrier installation to ensure all aspects of the air barrier installation are in conformance with the project specifications, manufacturer’s installation guidelines and ABAA Site Quality Assurance Program. An audit report is circulated to the trade contractor, the general contractor, the manufacturer and the owner’s representative. The ABAA office provides technical support to all the parties involved in the installation of air and water resistive barriers. Much of the technical support is available on the ABAA website but individuals can contact the ABAA office for specific support. WHY the Site Quality Assurance Program? Can you see air leaks and see water leaks in your new building right away? Do you want your project finished only to then find out that you have installation deficiencies? Do you want project delays for rework due to faulty installation? We didn’t think so either and we’re here to help! When you specify ABAA, you receive a risk management program that address the potential issues during the installation process. The installation is performed by individuals and companies that are educated and have the experience to properly install air barriers. But it does not stop there! The Site Quality Assurance Program addresses a wide range of items which can impact the installation. The air and water resistive barrier industry conducts research to determine required characteristics for material, for proper installation procedures and guidelines to confirm the installation has been done properly. A listing of materials which have been tested and confirmed that they meet the requirements set out by ABAA. This saves a tremendous amount of time for the design professional and keeps liability off the design professional. These evaluated materials are listed in master specifications which provides wording for specifying an air and water resistive barrier installation. Contractors that have met ABAA’s requirements and signed agreements to use ABAA certified labor, follow installation guidelines and correct any deficiency are listed on the ABAA website. These contractors have the experience, know-how and track record of performing installations. The Design Professional is not required to pre-qualify or try to determine who is qualified and who is not. ABAA Accredited Contractors must meet minimum requirements for insurance, bonding, employ certified installers, and possess the necessary equipment to install and test their work, be trained in the Site Quality Assurance Program and sign a licensing agreement dictating professional conduct and the right to terminate their license should they not meet the requirements of the program. ABAA Certified Installers have been trained and certified to do the installation. These installers have the related trade experience and are trained in various air and water resistive barrier systems installation requirements. Installers need a minimum 3000 hours of documented work experience in air barrier /water resistive barrier or related trades in order to qualify for certification. Certification is provided for various material types and dependent of experience. Each ABAA specified project is required to have at least one Certified Installer on site, at all times. It is not a matter of simply having a site foreman (that is only on the site infrequently, if at all) trained. Certification is provided to the actual individuals that are performing the work and are onsite all the time. Installers are required to perform a visual inspection of the substrate, prior to the installation of material, to confirm the substrate is properly prepared. The installer is also required to perform a visual inspection on the completed installation for that day and fix any deficiencies. Depending on the installed and adhered materials, materials are subject to a pull adhesion test, thickness test and density test. The installer is required to perform at least one adhesion test (consists of three separate disc pulls) on the area installed for the day. Certified Installer is also required to document the entire installation process on “daily job site reports”. Daily Job Site Reports are submit to the Site Quality Assurance Program office monthly, and can be provided to the design professional upon request. Every ABAA specified project has a minimum of one site audit conducted. The number of audits performed on a specific project is determined on the total square footage of air barrier material being installed. For example, a project with up to 10,000 square feet of air barrier material applied would require one audit conducted (per the ABAA Site Quality Program). Additional audits may be performed due to non-compliance by the contractor/installer, if more specified in the contract documents or if the owner, architect or general contractor request more. In all cases, the cost of the audit is the responsibility of the ABAA Accredited Contractor. The scope of the ABAA Field Auditor is to confirm compliance with project specifications, manufacturer’s installation guidelines and the ABAA Site Quality Assurance Program. This includes confirming if the installer is meeting the manufacturer’s instructions for substrate preparation, compatible materials, and actual application and repair procedures. The audit process and field auditors are overseen by Building Professionals. The ABAA Field Auditors are typically industry consultants, engineers, or auditor agencies. The first job of the Auditor is to help the installer learn better installation practices. The second job of the Auditor is to document compliance to the Site Quality Assurance Program and manufacturer’s installation guidelines. Once the audit is completed, an audit report is forwarded to the Site Quality Assurance Program office for review, filing, and distribution to the Owner, Architect, Manufacturer, and General Contractor and Accredited Contractor. If any concern arises on a project from the Design Professional or Owner, a dispute resolution process is in place to deal with problems. The Site Quality Assurance Program has a system for handling complaints regarding a material or installation. How do you specify Site Quality Assurance Program? 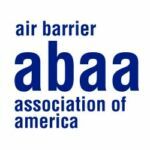 The Air Barrier Association of America (ABAA) develops master specifications for various air barrier assemblies that will provide guidance to the design professional in the development of the final project specifications. These assembly specifications combined with proper installation details provide guidance to building professionals when specifying an air barrier assembly and in the development of an air barrier system for their building. ABAA has developed a Position Paper to encourage placing all the requirements for air barriers in a separate section where a single contractor can be responsible for the air barrier assembly. ABAA has also developed Division 1 Specifications which provide administrative and procedural requirements for specifying an airtight building enclosure that; controls the infiltration or exfiltration of air, inspection and testing services required to verify compliance with requirements specified or indicated, necessary information for the coordination between subcontractors required to provide an airtight building enclosure, and customized fabrication and installation procedures. Can I Specify ABAA without the Quality Assurance Program (QAP)? We are finding that the design professional may only make reference to one of the ABAA requirements rather than to all of them. In most cases the design professional wants the complete ABAA Quality Assurance Program and we will work with them to determine the appropriate wording. As the ABAA Quality Assurance Program is a voluntary, industry led program, it is the project specifications which determine whether the ABAA Quality Assurance Program is required or not. If the project specifications do not require any components of the ABAA Quality Assurance Program, then the contractor is not obligated to follow the ABAA requirements for that project. ABAA only has one Quality Assurance Program; that includes evaluated materials being used, accredited contractors & certified installers completing the installation and third-party audits performed by ABAA licensed field auditors. There is no such thing as only having “ABAA Certified Installers” or “ABAA Accredited Contractors” without the entire program (evaluated materials and audits). The design professional either wants the ABAA Quality Assurance Program or they do not. Every time the ABAA office is notified of a “partial ABAA project”, we will contact the design professional and have them clarify the intent of the specification and work to have the complete ABAA Quality Assurance Program followed or request any reference to ABAA removed from project specifications. The only way to obtain bids from contractors that are fair and comparable is to have the ABAA Quality Assurance Program completely in or completely out. There is no room for half measures. ABAA Accredited Contractors are obliged, under the ABAA licensing agreement, to complete any project which evens mentions ABAA following the ABAA QAP requirements. ABAA Accredited Contractors who work on an ABAA specified project and who do not comply with all the requirements outlined in the ABAA QAP, are at risk of being fined and having license suspended or terminated. All ABAA Accredited Contractors should take the time to have any issues on a project clarified before or at time of bidding. 1.2 “ABAA Specified” is when an architect or building owner includes ABAA contractors, installers, the ABAA QAP or other any specifications or amendment of specifications set by ABAA or the Air Barrier QAP affecting Accredited Installer(s), Accredited Contractor(s), and Accredited Manufacturer(s) and includes ABAA standards, in their contract specifications for a building project., or requirements. by Elias Saltz | May 29, 2018 | Conspectus, Inc.
One of the significant reasons for the existence of specifications is to describe the level of quality to the products and work that go into a building project. Specifications establish the performance of the products and assemblies and their installation. They require advance documentation, in the form of product data, shop drawings, and sample submittals, all intended to indicate that the contractor understands the requirements and will communicate them to subcontractors, suppliers, and installers. The specifications require mockups and laboratory testing and field testing, all to demonstrate that the standards set by the specifications can and (hopefully) will be achieved in the finished work.